I love this next product! I really do! Such a positive message and an unique product, which would also make a great gift idea! This time of year brings friends and families together to celebrate the joys of life and the act of giving back to communities around us. Kauzbots, the company that helps you contribute to an array of charities with their precious plush robots, aims to raise awareness and encourage everyone to give back during this holiday season. Their year-round efforts are especially distinguishable during this time of selflessness and advocacy. In addition to being an adorable gift to give, Kauzbots, the cuddly stuffed “robots with a heart,” offer an opportunity to be charitable through the act of gifting. This group of 10 heroic robots fights a variety of hardships that affect millions throughout the world. 10 percent of the retail price is donated to their individual ‘kauz’, which raise awareness for different charities that support: refugees, homeless children, pediatric cancer and autism research, just to name a few. I received Kruz because clean water is one of the causes dear to my heart! (Although many of the other causes are very important). I love the positive messages of the Kauzbots! The holiday season is a time to give back and the army of fearless Kauzbots presents a playful way to accomplish this. To read more about the philanthropic journey of each individual Kauzbot, please go to www.kauzbots.com. 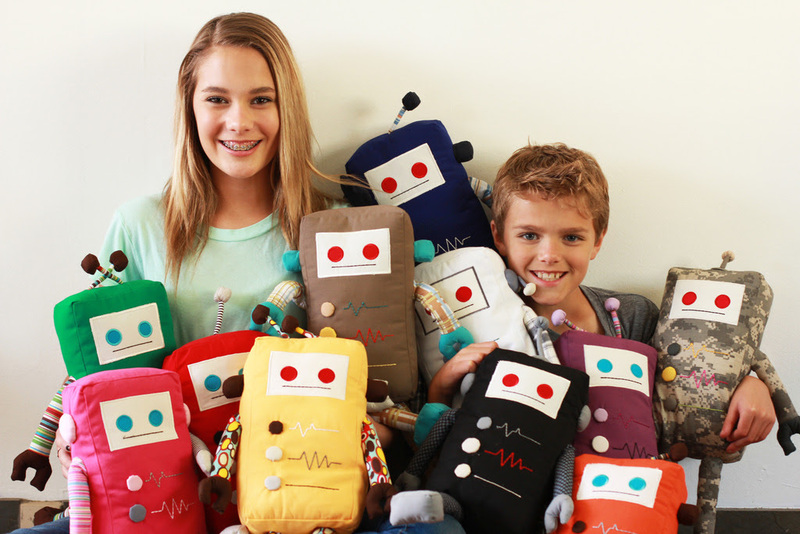 Kauzbots, Inc. – and its army of heroically compassionate, plush robot toys – is on a mission to make the world a better place, one ‘kauz’ at a time. Donating a percentage of each toy sale to a dedicated charitable foundation each individual Kauzbot represents, each high quality toy is more than just for warming hearts and raising awareness for noble causes across the globe. Teaching children social responsibility, promoting kindness, encouraging advocacy and acting as a ray of sunshine for an imperfect world is what each individual robot fights for every day. Based in the heart of Tempe, Arizona, specially crafted Kauzbots are available for purchase online and at various retail locations throughout Orange County, Calif.
Join the #KauzKrew on Facebook and Twitter and Instagram at @kauzbots. Self Disclosure: I received a free product to facilitate this post.